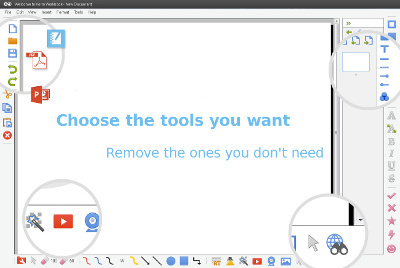 Workbook is whiteboarding software, used with any interactive whiteboard or display, or just on a Windows computer (Mac OS users - check out Silverfox). If you’ve used whiteboards much, then you already know what’s essential to whiteboarding: easy access that anyone can use; plenty of room to express any idea; simple and intuitive tools. Workbook whiteboarding software combines the simplicity and ease of use we all love from whiteboards, with the productivity benefits of your computer. 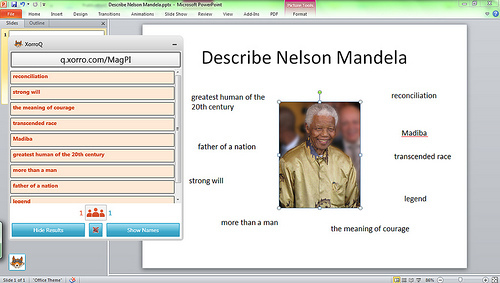 With Workbook, you’ll be putting shapes, text and images onto your whiteboard in no time at all. Just like your conventional whiteboard, you can use pens to write in ink… only now you’re writing in digital ink, and its being stored in your computer. You’ll set up your favourite pens (they never run out of ink!) and your favourite tools. Workbook’s page extender and page sorter means you’ll never run out of whiteboard space. Everything is instantly scaled, rotated, moved on the page or between pages. That’s where it all starts... Look further and you’ll also find the usual interactive whiteboarding features: spotlight, magnifier, full screen views, screen capture, screen annotate, cropping, transparency eyedropper, format painter etc. 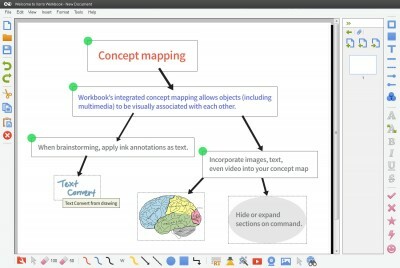 Flowcharts, mindmaps and concept diagrams become “formalised” in a few seconds. Add links and sounds to objects on your whiteboard page to integrate process maps. Start videos on the whiteboard page at the touch of a button; play live camera or web feeds to keep your workgroup up to the minute. 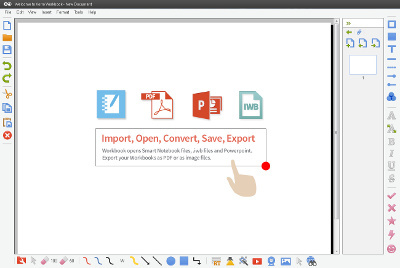 Because Workbook opens SMART Notebook file, you'll be able to access your favourite resources. Finding and sharing Workbook files is made really easy through your free membership in the Xorro-ED Community. Great for those Science experiments, drama, student presentations! Whether it's a live camera feed, a webcam, a YouTube clip or a saved video from your network: you'll be annotating and capturing snaps in no time at all. The Workbook Resources Pack is a collection of free images, objects and backgrounds, organised by topic. Install this to have these collections available directly from your Workbook canvas. Download Workbook software. 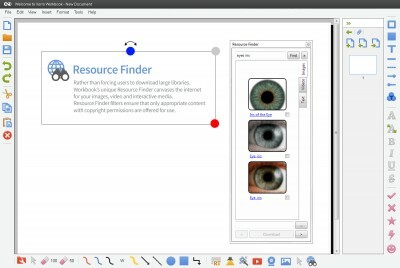 This installs a 30 day free trial, which converts to a permanent licence on registering Workbook. 2Touch customers are entitled to free registration. Download the Workbook Resources Pack Installer (51 MB). This is a useful collection of free images, objects and backgrounds, organised by topic. The Workbook User Manual is available on the Xorro Software Updates site.